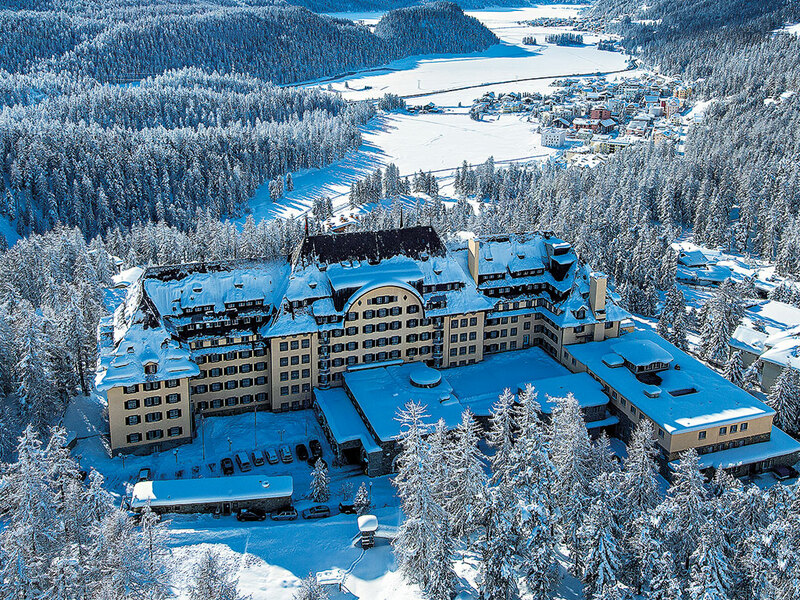 Engadin St Moritz, an idyllic, sun-drenched valley situated on the southern side of the Swiss Alps, is regarded by some as the birthplace of winter tourism, as well as the home of Switzerland’s first ever ski school. Ever since this school opened in 1929, tourists have flocked to the area each winter to bask in its magnificent scenery and range of outdoor activities. Located 1,850m above sea level on the slopes of Mount Suvretta, Suvretta House is the work of pioneering hotelier Anton Sebastian Bon, who envisioned a grand hotel nestled in the Swiss mountains. The luxurious chateau has been enchanting visitors since it opened in 1912. Situated amid meadows and alpine forests while overlooking a spectacular landscape of mountains and lakes, Suvretta House celebrates over 100 years of illustrious tradition. 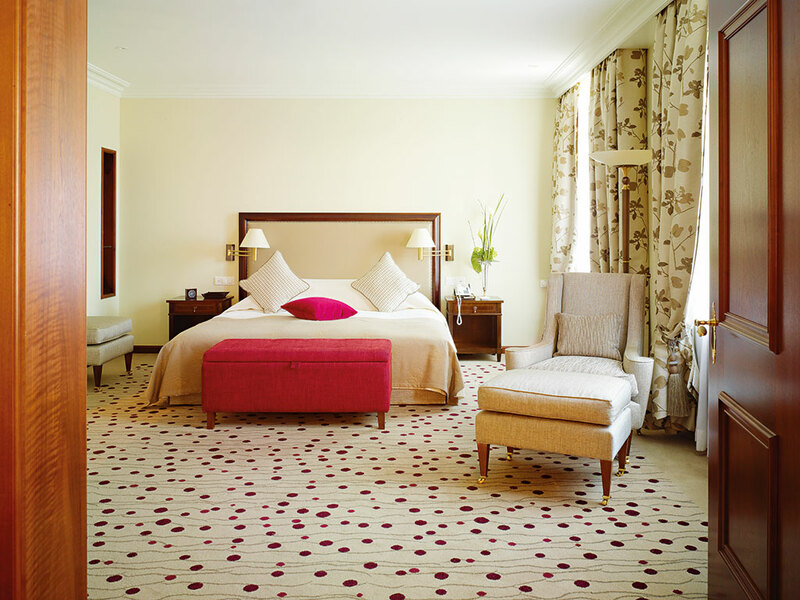 The hotel offers 181 luxurious rooms, as well as a selection of elegant suites. Privacy, ample living space and tasteful furnishings are all valuable features of the chateau, allowing each and every guest to feel at home during their stay. All guest rooms offer plenty of daylight: the rooms and suites on the southern side of the hotel afford guests stunning views of the Upper Engadin landscape, while accommodation on the hotel’s east, west and north sides overlook spectacular parklands, the slopes of Mount Suvretta, and the nearby Corviglia skiing resort. These magnificent views guarantee any guest a relaxed stay – however, for those business travellers wishing to continue their work in the comfort of their Suvretta House room, free wireless internet is available in every guest room and across the resort at large. The heart of the hotel is its magnificent communal room, the Hall. Steeped in tradition and reminiscent of the chateau’s early days, guests gather in the Hall to read the local newspapers or sample the famed afternoon tea. In the evenings, the Hall is the preferred place for a delicious aperitif before dining in the hotel’s renowned Grand Restaurant. Here, Head Chef Fabrizio Zanetti delivers impeccable French cuisine using only the freshest produce from the local market. His seasonal specialities are popular with visitors and locals alike, with the restaurant’s formal dress code, grand oak pillars and keen focus on traditional fine dining creating the most luxurious atmosphere in the region. Other dining options at Suvretta House include the cosy Suvretta Stube, which offers Swiss specialities and authentic Grisons dishes, and the Chasellas Restaurant, which is located in the vicinity of the hotel and is the perfect lunch spot for skiers and hikers. Suvretta House strives to ensure that every guest is relaxed and rejuvenated upon their departure from the hotel, regardless of the purpose or length of their visit. The hotel’s magnificent health, fitness and spa area spans 1,700sq m, including a 25m indoor swimming pool that overlooks the mountains, an open-air heated whirlpool bath, and extensive sauna facilities that offer a variety of treatments, temperatures and humidities. For guests wishing to continue their everyday exercise regimes while away from home, the hotel’s gym is equipped with the very latest cardio and strength training equipment. The surrounding area has yet more to offer for those spare moments between meetings in one of the hotel’s 15 events spaces: the enchanting mountains soar to up to 4,000m in height and offer a variety of adrenaline-fuelled activities throughout the year. The St Moritz region is home to the only natural ice bob track in the world, and in 2017 will also stage the FIS Alpine World Skiing Championship for the fifth time. The natural beauty and outstanding diversity of this region ensures that any guest, visiting for business or leisure, will have a truly spectacular stay.